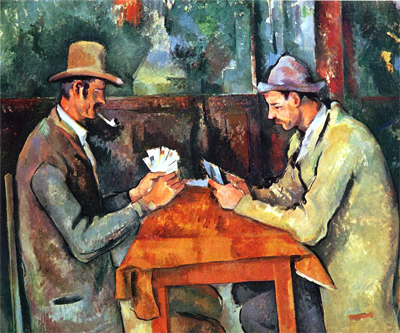 Over the centuries, countries over the world have invented their own card games, which have become popular among their locals, in many cases these card games are still being played. Whether it is India, Japan, China or Italy, almost all of them have traditional card games that are typical for their country. The Chinese and Malay game of Ceki is quite popular even today. The traditional Ceki decks are used for this game which is quite similar to the Chinese money card decks; however, the number of cards is lesser in the Ceki deck. The game is mostly played by various ethnic groups in Malaysia that are from Chinese descent. But you can try this game even right now! All you need is to find it at online casino. And to get the bonus, of course. All games, even the most rare ones are all for you! A Ceki deck has 60 cards and two decks are required for playing the game. The game is very similar to Mah Jong and many believe that it might have originated from Mah Jong. However, Ceki is much simpler and requires less time in comparison to Mah Jong. Players need to make three different sets of three cards, all of them with the same value. Suits are not given any consideration while making the sets. The cards have to be matched based on the patterns of the frame. In Japan, the game of Hanafuda has been very famous for centuries and several different versions of the game exist today. The game can be played with two or more players. In Hanufada, the dealer is referred to as Oya. Most versions of the Hanafuda game are all based on the same principle. Every player has to take turns to find a match for one of his cards among the ones that are placed on the table and capture the pair. There are twelve different suits in a traditional pack from which the pairs have to be made. Every card in the pack has a specific value; however, according to the rules of the game this might again differ. There are two different versions of the game, Scopa is the original classic game and Scopetta is the small version of it. However, the most popular version of the game is Scapone Scientifico, which would require more skills and practice but is again quite easy to learn. In India, the traditional game of Ganjifa had been first played during the Mughal era in the country. The game requires a traditional Ganjifa deck of cards which consist of round cards that have been hand painted. However, only very few people in India still play this game.